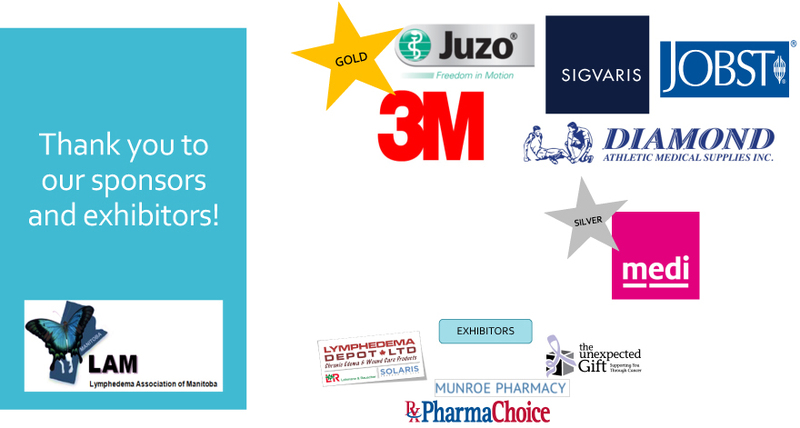 Due to the support of our generous sponsors and exhibitors, this year LAM is able to offer Bring a Friend for Free to registrants. On Friday, health care professionals are invited to bring a colleague, and on Saturday, patients are invited to bring a caregiver/family member/friend to the event. Lets get the word out about lymphedema! Already registered…the offer still stands, contact LAM to discuss! Join us for our annual symposium and be part of the call to action to improve the lives of Manitobans living with lymphedema! The Lymphedema Association of Manitoba (LAM) is pleased to welcome Dr. Marc Hamel from McGill University Health Centre to speak on Distress and Resilience on both Friday and Saturday. His recent presentation at the Canadian Lymphedema Framework's national conference was very well received. For our professional audience on Friday, learn about recent efforts to develop and implement best practice guidelines and provide essential feedback. Join an inter-professional case-study based dialogue about continuity of care for people with lymphedema. We are also hosting a session on injury prevention & ergonomics presented by Dayna Mascitelli and Claudette Zinko. Individuals living with lymphedema and their caregivers are invited to join us on Saturday, with sessions focused on self-care for those on this journey living with lymphedema. Friday's program is geared for a professional audience (health care providers, garment fitters, CDT therapists etc.) & Saturday is for people with lymphedema and their caregivers. Many thanks to the sponsors of the 2018 symposium!